July 7, 2016. 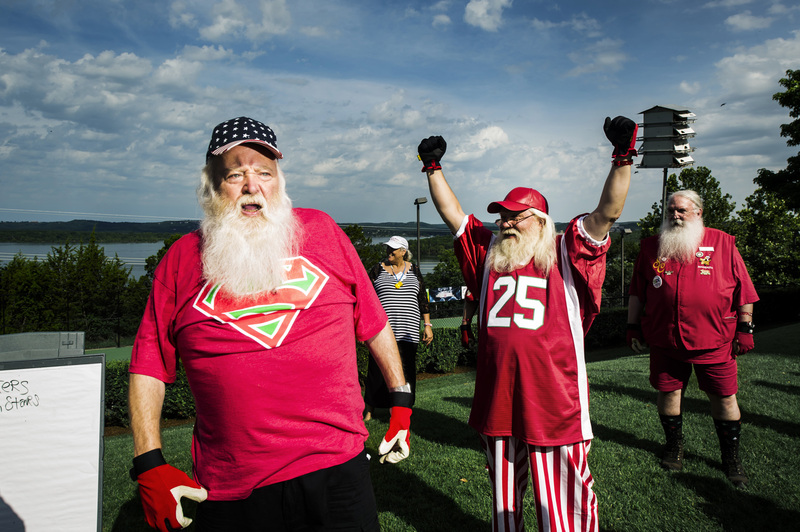 Branson, Missouri - Santas participate in SNO-lympics, a competition and games event between individuals and teams of Santas and Mrs Clauses at Discovery Santa. Discovery Santa, the largest Santa convention in the world took place in Branson, numbering nearly 1000 participants.